Why was so little known about the trail? ONE HUNDRED FIFTY YEARS after the trails were pioneered-- fifty years of use and nearly a century of speculation as to who pioneered them, who used them, how long were they used and the trails' exact locations have been solved. 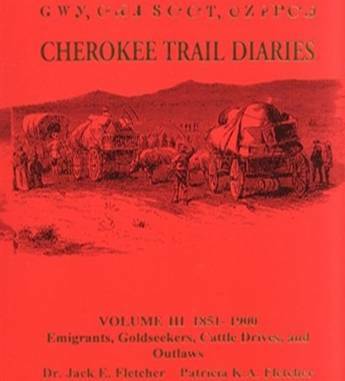 After thirteen years of on the road research through county records including genealogical records to National Archives, the authors of the book have been able to locate diaries, letters home and newspaper accounts of the blazing of the 1849 & 1850 Cherokee Trails. Most of (but not all) of those that participate in the blazing of these trails were southerners and had returned home in time to participate in the Civil War. Some of the bloodiest and cruelest part of the war seemed to settle and stay in this part of Arkansas and Cherokee Nation. Cherokee were either in or sided with the Southern army or the Northern army and stayed in the area to ravage their own civilization. Very few diaries, letters, etc., survived such carnage, as did the men themselves. Rebuilding, settling old grudges, or moving on occupied the minds of men leaving little matter for reminisces of California gold, crossing the plains, and cattle drives as young men. Young boys at six or twelve years of age on the Trail Of Tears were young men sixteen or twenty two years old on the trail to California and were men in their thirties by the Civil War's end.. This lack of diaries, letters, references to the Cherokee Trail led the foremost historians of their day to conclude that the Cherokee was a minor trail and play little significance in the migration in western United States. 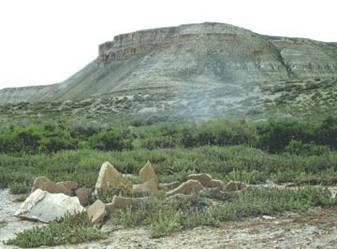 State Historians of the states of Oklahoma, Kansas, Colorado, Wyoming, that had significant sites and segments of the Cherokee Trail at that time chose to ignore the physical evidence or were ignorant of its existence. This ignorance of these few remaining significant trail sites and segments still remains today with these states and other "astute" historians.. The Ashley and Medicine Bow National Forest and the Rawlins and especially the Rock Springs Bureau of Land Management (BLM) Offices have played major roles in locating, mapping, marking (BLM) and preserving large segments of the trails. 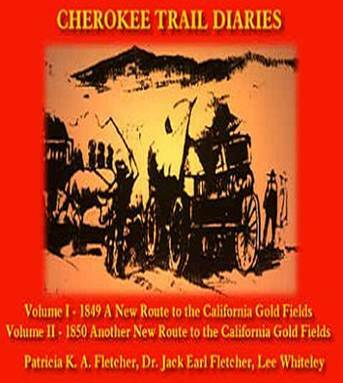 This 418 page book is Indexed; well documented, heavily footnoted with1143 footnotes; and contains a series of 29 full pages of maps showing the route and campsites of both the 1849 & 1850 routes from Fayetteville, Arkansas, southwest Missouri, and Tahlequah, Cherokee Nation to California. This 445 page book is indexed; well documented, heavily footnoted with1057 footnotes ;literature cited and a sprinkling of maps for clarification. Travel, beginning in 1851, to 1900, is fully documented by diaries, letters, newspaper accounts, and military and congressional records. As the main north-south corridor from the southern frontier states (first to California and later the Oregon Territory) emigrant traffic prior to the Civil War is documented each year. The numerous pre-Civil War cattle drives to California from Arkansas & Missouri and east Texas are given considerable detail. Many were strictly cattle drives; others included emigrating extended families, such as the Baker-Fancher party that was massacred at Mountain Meadows. By 1857 emigrant travel over the Cherokee Trail had surpassed travel on the Oregon & California Trail. Little known until now was the trail’s use as a Mormon missionary and emigrant route from Utah to the Cherokee and other Indian Nations, and to and from east Texas, including the Lyman Wight colonies. All of the above and the 1858-9 Pike’s Peak gold rush over the Cherokee Trail have contributed heavily to the prolonged use of the Trail. The last documented wagon train from east Texas was in 1883 for Washington State. The 1858 military building of the Bridger Pass route during the “Mormon War” is given considerable detail and includes a never before published dairy of Bryan’s 1857 expedition. The Bridger Pass route immediately became the newest “cutoff” documented and heavily used and known as the “Cherokee Trail.” In 1862 the Overland Stage Line moved onto the route, by then a long-used road. 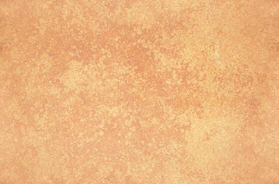 The other documented and popularly-used “cutoff” was from Rawlins north to the Sweetwater or Oregon/California Trail. It was heavily used by gold seekers from Pike’s Peak and elsewhere to the mines of Idaho and Montana. The 1868 Mormon “Out and Backer” wagon trains used it to pick up newly-arrived Saints at Laramie and Benton, Wyoming. The 1870s & 80s Cattle & Sheep drives east from Oregon Territory to upgrade stock on the ranges of Wyoming and Colorado, equaled the earlier 1850s cattle drives to California. Lower Powder Springs (first described by Fremont) on the 1850 southern Cherokee Trail was used as a headquarters and hideout by Butch Cassidy and up to 100 members of the Wild Bunch. Some later pulled off the Wilcox and Tipton Union Pacific Railroad robberies before fleeing the west. Gravesites of Robert Davidson and child of Hiram Allen on the 1850 Southern Branch of the Cherokee Trail near Shell Creek. Gravestone “R. 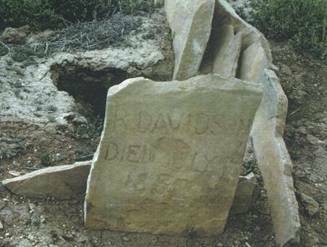 Davidson died July 1852”. Robert Davidson died while on an emigrant cattledrive to California. Cause: Mountain Fever. This illustrated seventy-three page book gives a brief but vivid account of the Historic Windsor Farm by one who lived there and whose grandfather sold it to the developers of Windsor Gardens. Starting with Bill Bush who had met H.A.W. Tabor in Leadville, "It was noted in the Newspapers of 1883, that after the initial association with Tabor in 1878, Bush and Tabor were partners in many schemes." "Mining money (Tabor's)" and "English" money were both spent lavishly on Denver's future. In June 1880 the colossal Windsor Hotel opened, built by the Denver Mansions Company (English investor group) for $350,000 on property that cost $100,000. Manager Bill Bush spent another $200,000 for furnishings. Bill would also manage the Tabor Grand Opera House; and would later establish the Windsor Farm; a showcase farm for the Plains and an example used by the Union Pacific in their promotions. 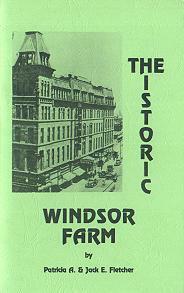 The farm supplied fresh produce and dairy products, first to the Windsor Hotel and later the Brown Palace. The English Group, a Corporation, not only owned the Denver Mansions Company, but also eight other companies. Among them were: The Colorado Mortgage and Investment Company, financing company for the Northern Colorado Irrigation Company, builder of the Highline Canal; The Platte Land Company, real estate arm of the Union Pacific Railroad (plus an additional five). All played an intertwining role in the Windsor Farm; from the "selection of the section of land" by the Platte Land Company to the building of the Highline Canal. An adjoining section of land "section 16 school land" was assessed at $1/acre in 1878 (before the Highline Canal) by Levi Booth. Booth was the owner of the Four Mile House. Concerned about English money ownership of the Highline Canal, Levi would later involve the Colorado State Grange in protecting water rights for farmers. In 1885 that section 16 (640 acres) was appraised at $7,731. One of the appraisers was Donald Fletcher, one of the founders of Aurora, Colorado. The section was sold that same year to Bush and Morse for $13,170. On February 20, 1890 Bush and Morse sold this now 560 acre piece to the newly-formed Fairmount Cemetery Association for $196,000. Bill Bush was also one of the Cemetery Association organizers and board members. Bush leveraged the Windsor Farm in both the U.S. and England several times for money to maintain his high lifestyle, before he died broke and deep in debt. The farm was used as security for borrowing money as far away as Massachusetts and London in at least seven transactions in fourteen years. Brown Cannon, former Colorado State Dairy Inspector and Arapahoe County Commissioner, was also a manager of the Windsor Farm. "Probably no man influenced the Denver milk business so much as Brown Cannon. Every dairy driver, every independent dairyman, every tavern owner, every Meadow Gold and Beatrice Employee, every person who was ever associated with him in any way has a story to tell about him." Portions of the farm were deeded away: in 1923 land for Cunningham School, (now in Cherry Creek School District); in 1939 Lowry Army Airforce Base; and again in 1944 for runways and expansion. In 1949 the Windsor Farm Dairy was bought by (Valdemar) Walter and Annie Gallagher Andersen the author's grandparents. Under Andersen's ownership the farm became the largest independent milk producer in the Denver Milk Shed. Walter had managed farms for some of Denver's noted professionals, including Arthur Ponsford's Willow Springs Ranch near Morrison. As a condition for leaving Ponsford,Walter had to find a replacement. He found and brought in Paul Pattridge; later important in Golden. In Littleton Walter had managed the Bates Place at Broadway and Belleview; and the Benedict Place, now the site of the Carmelite Monastery and the Littleton Museum. In 1934 Andersens had purchased their own farm on Ridge Road in Littleton, continuing their dairy business. In 1960 the Andersens sold the now 144-acre Windsor Farm for $360,000 to Mr. Farkas and Mr. Livingston, the Developers of Windsor Gardens. Walter and Annie Andersen had sold a dream; Farkas and Livingstone had bought one.